The Society is a "perfect utopia." Once children are of age, they go to their Match Banquets and see who they will be partnered with for the rest of their lives. For society's benefit everything is chosen for them - their jobs, their mates, even their time of death. Cassia has always felt that's no big deal. She is certain that whomever she ends up with will be the perfect match. During the banquet, her match turns up on the port screen. But what happens when her match turns out to be her best friend Xander? Will this ruin their friendship? And what about the other face that flickered on the screen? Cassia thinks she knows this guy too. Two guys appearing on the port screen is not supposed to happen. Cassia has never been a rule breaker. She has never questioned anything, because she's never had any reason. But now Cassia has some questions of her own. 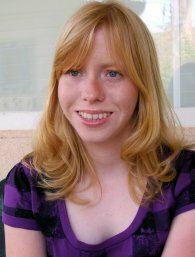 The other face that appeared on the port screen was Ky Markham, a boy who lives in her neighborhood. Is Ky the boy she would be happy with for the rest of her life? Or is it Xander, the friend she's always cherished since childhood? Cassia needs to discover the truth, even if it means disrupting the perfect Society she's always known. 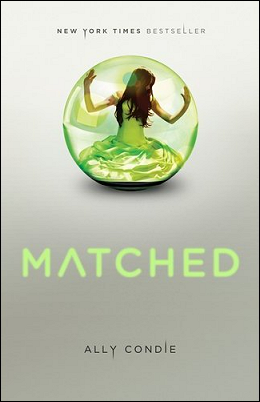 Matched is a wonderful dystopian novel. Every chapter is a page turner, and I was tempted to read ahead to find out what happens next. One drawback is the world Condie creates, which is rather vague. However, this isn't too much of an issue in this novel because Condie's characters are so realistic. They act like typical mercurial teenagers, changing their minds from one minute to the next. The plot is suspenseful as well, and built to a satisfying climax. Condie's best strength is her diction. Her sentences are poetic and every word she chooses is perfect. Matched deserves four out of five stars.